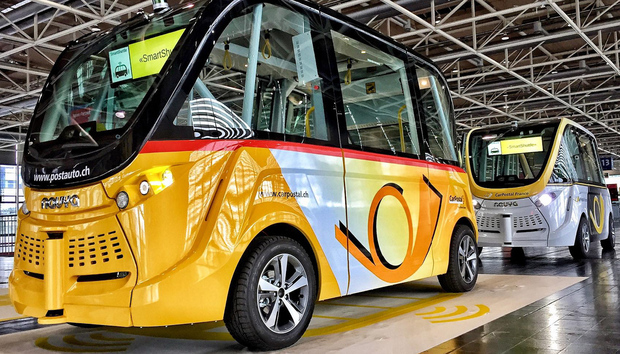 Visitors at Cebit in Hanover last week had a chance to do what some people in Switzerland have been doing for almost a year now: take a ride on an autonomous shuttle. Although the shuttles do not require a driver, a safety attendant is on board at all times to make sure they run smoothly and to stop the vehicles in an emergency. The shuttles are build by french company, Navya, and the fleet management software is developed by Swiss start-up Bestmile. Testing in Switzerland is expected to continue until October. The hope being that data gathered from the experience will help to better integrate autonomous vehicles into urban settings.